Geraniums have always been among the most popular of all flowering plants. but only after all danger of frost is past and the soil has warmed. They should be planted at the same soil level that they were growing at in their pot. added a generous amount of compost, leaf mold or peat moss. 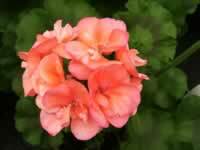 The optimum soil ph for growing Geraniums is 6.5 (slightly acid). for cooler soil temperatures during the summer. Water Geraniums at least once a week if you have had no rain. water early in the day to allow leaves and flowers to dry before nightfall. every 2-3 weeks when they actively growing. Remove the flowers promptly as they fade, or the bloom production will decline. to keep all of your outdoor plants away from heat sources in the house. Also be very aware that there may be insects on the plants that could easily migrate to your houseplants. You might want to spray them or isolate them for a while before exposing them to your other plants. The best strategy for keeping your plants happy is to try to re-create the same conditions indoors that the geraniums were growing in, outdoors. Try to provide as much light and humidity as you can. The best temperature range would be from 60-70 degrees, which is cooler than a typical house in the winter, so if you have a cooler spare room that has sufficient light, you will have it made. Even in these conditions, your geraniums may begin to get leggy and less attractive by the end of winter. If this is the case, simply take cuttings from the mother plant. 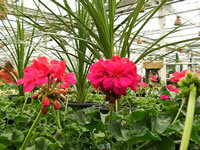 Not only will the mother plants become bushier, you'll increase your stock of geraniums just in time for spring! 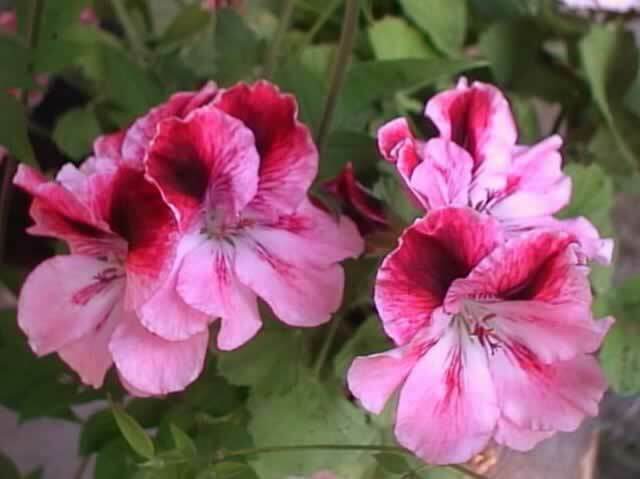 Geraniums are easily grown from seed. This is an excellent way to aquire a collection of different varieties. 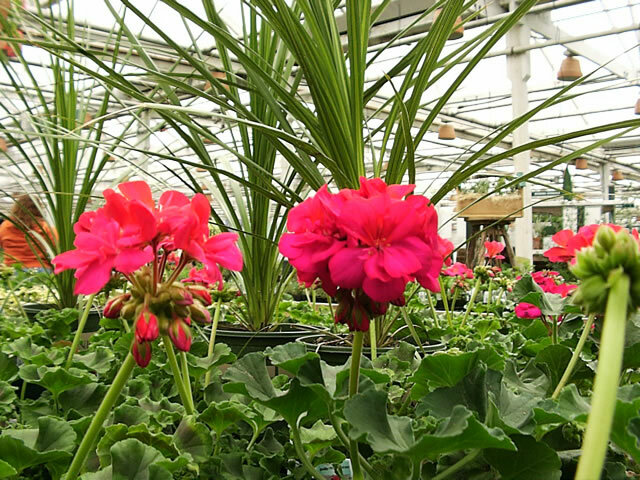 If you have a favorite plant that you want to preserve, Geraniums are also easily cloned by taking and rooting softwood cuttings. Take your cuttings in September from healthy plants which have been kept rather dry for a couple weeks. Use a clean, sharp knife and make a cutting 3" to 4" in length from the growing tips. Trim off the lower leaves from the cutting, and stick it into a coarse, sandy medium in small pots or in flats. Water well, then place them in a warm spot in indirect light. Do not allow the cuttings to dry out! After roots are formed in 2-3 weeks, move the new plants into full sun and water only enough to keep them from shriveling. Fertilize with a weak solution of liquid fertilizer every two weeks.